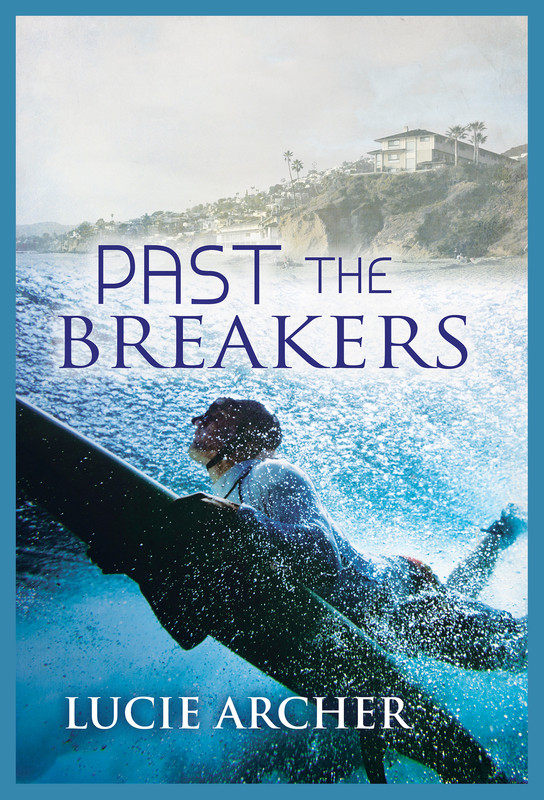 Hi everyone and welcome to my blog tour for Past the Breakers. Today thought I’d share a recipe in homage to Casey’s food blog. And just so Myles doesn’t feel left out, I decided on chicken parmesan since it’s his favorite. This recipe is really easy and something I make all the time. 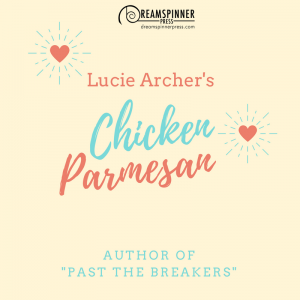 It might not be up to restaurant standards, but how can you go wrong with fried chicken topped with tomato sauce and cheese? First, you’ll need a bowl to mix your dry ingredients. I used a 9×9 glass baking dish for ease, but any kind of container will do. Add in your flour and Italian breadcrumbs, then stir until combined. I like to add extra garlic powder, but this can be omitted. You can also add parmesan into the mixture for an added kick. While the oil is heating up, it’s time to cut up the chicken to ensure even cooking. Butterflying is best, but trimming away the excess fat and breaking them down into more manageable pieces is all you need to do. Now it’s time to get dirty. Salt one side of your chicken, then place it salt-side down in your dredging mixture. If you are watching your salt intake, this can be skipped, otherwise a light coating will do just fine. Salt the top side as well, then toss the chicken to coat it evenly. Once your oil is nice and hot, add in your chicken. Make sure to dust off the excess flour first, and take extra care not to burn yourself. Cook the chicken for 6 to 10 minutes, or until golden brown, turning half way through. Place on paper towels to drain. Plate your spaghetti and chicken, then spoon on hot spaghetti sauce to your liking. I add some parmesan cheese on top as well. And voilá. There you have it. Alternatively, you can put the sauce-and-cheese-covered chicken on a baking sheet and pop it in the over to melt the cheese, but I usually don’t have the patience for that. The heat from the sauce and chicken melts the cheese enough for my liking, but I’ve done it both ways. And both are just as yummy! I hope y’all enjoyed the recipe, and thanks for joining me on this stop on my tour. Check out Past the Breakers today! I never try this recipe before, really love the look of it – looks YUM! – and I think I’m gonna try it! 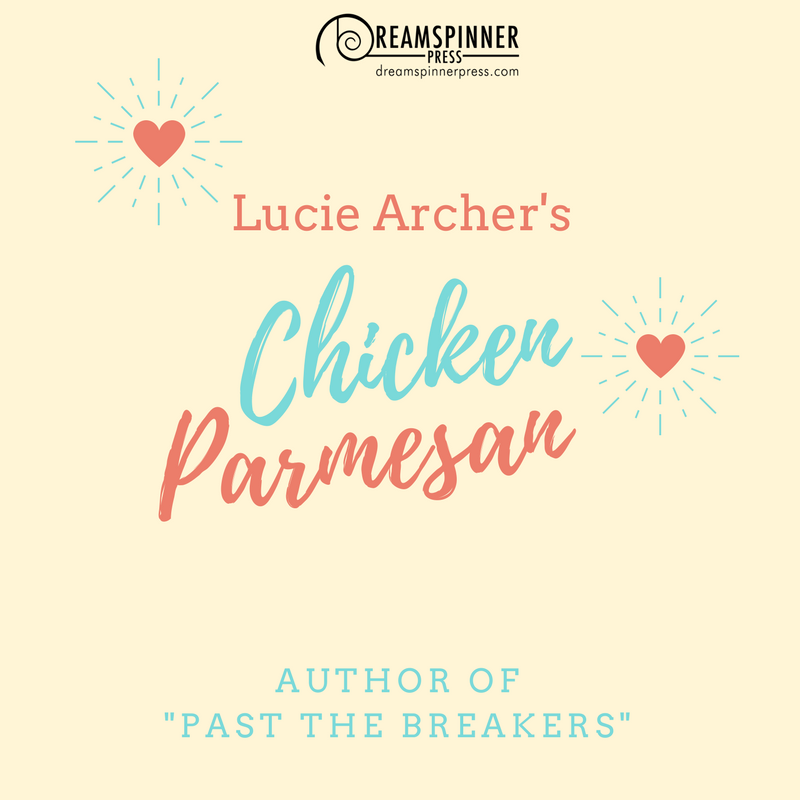 Congrats on your newest book,Lucie! One of my fave recipes. I’m not sure. Depends on if it was malevolent. Thanks for the recipe. I love Ckn Parm, so will try this. If I met a ghost? I’d like to think I’d be cool the whole way thru, but prob the first thing would be to disbelieve and make him/her prove it. Then I’d see if it was malicious. And if not, do some ghost whisperer kind of thing. @Didi You are so welcome! If you give it a try, I hope you enjoy it as much as I do. Thanks so much! @Josie It’s hard to go wrong with this recipe. It’s always a crowd pleaser. And that’s a great strategy, calling for a second opinion. I’m not sure I’d believe my own eyes at first. @Star That’s a very good point. I think most people assume a ghost would be malevolent, but I’d be fine with a friendly spirit hanging around the house. It could be fun. @Purple Reader That is exactly what I would do! Congratulations and much success! Thanks for sharing and for the chance. I’ve come face to face with plenty of ghosts. Nothing to fear from them. Except one… And he was evil. Oh gawd! This recipe made me hungry and I just ate =D. @Sandra Rosario Plenty? As in more than one? I’d be fine with neutral or friendly spirits, but yeah, and evil one would freak me out! Thanks so much! @Christina Az. The chicken was every bit as good as it looks! And I can’t say I wouldn’t scream either if I saw a ghost, also under the condition I believed my eyes. @Milica I think a heart attack is a perfectly valid reaction. I might join you in that. Uh, I don’t know. I would probably pass out or something like that. If I would, by some miracle, stayed conscious, then I would run away…but knowing me, passing out is the most probable reaction . @Rose Passing out is totally understandable. I’d like to think I’d keep my cool, but you just never know.